As a result of our long-term work and expertise, we are now the leading provider of NetSuite ERP solutions in the Nordic countries. For over 15 years, Staria’s expertise in cloud-based ERP systems and in financial services has served customers across many different sectors, enabling them to grow and internationalize. For five years, Staria Oyj has been a significant provider of NetSuite ERP solutions in Finland. In recent years, we have further strengthened our position as the leading partner in the Nordic countries. 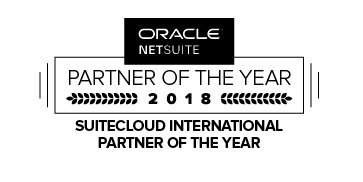 At this year’s SuiteWorld Staria was selected as the SuiteCloud International Partner of The Year for 2018. The award was given to us due to the SuiteApp localizations of the NetSuite ERP solution to the Nordic countries. These localizations have helped increase NetSuite’s success in the Nordic market. Staria’s customers are rapidly growing Finnish companies to which Staria has with localization and other financial services been able to create an easy way to expand operations into new markets. We are a Certified Developer Partner for NetSuite and its localization SuiteApps are certified by NetSuite. Localizations for new markets are constantly being developed. Staria has also been selected as the only NetSuite 5-Star Partner in the Nordics. Staria Oyj was also awarded with the Fastest Growing Partner 2017 and the New Customer Revenue 2017 acknowledgments. The goal of the coming years for Staria is to develop the skills and knowledge even further and strengthen its position as the leading NetSuite service provider for an even wider market.